In the current age of an internet driven society, ecommerce automatically becomes a sector with immense growth potential. However, rather than launching a generic ecommerce business &trying to compete with the already established big players, it is better to find a niche category so as to first build a unique identity for your business, and then build further from there. 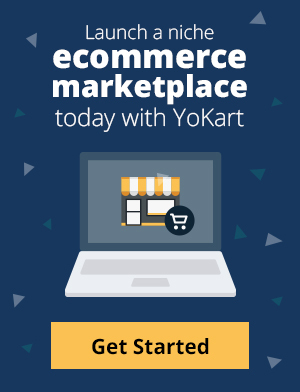 As a matter of fact, many of the popular ecommerce marketplaces across the globe – Amazon, Flipkart, etc., once started as niche marketplaces. So, whether you are starting out in the ecommerce sector, or just trying to reinvent yourself, by just catering to selected niche categories, going for a niche category is always a better choice. However, it is always essential to put the right foot forward. Finding the right ecommerce niche category or products to sell is the key to be successful. But first let’s summarize various benefits of going for niche categories. Why go for niche categories? The fact of the matter is that some categories of products have higher margin as compared to others. Categories like mobiles and clothing offer better profits than categories like home appliances. By just focusing on the former category, you can easily increase your profit margins on the product being sold. Niche categories cater to a more specific target audience, which automatically reduce the marketing expenses. When just focusing on a single category like mobiles or lifestyle, you do not have to appeal to or reach out to the masses. This makes it much easier to create and optimize your overall marketing strategy. There is a saying that it is always better to be an expert in one thing rather than average in all. As you cater to a specific category, you build a reputation of being an expert in the field. It is much easier to deliver a stellar customer experience in one niche, rather than a whole bunch of categories. This way you not only build trust among consumers, but also increase brand loyalty. In the current market dynamics there is lesser competition among marketplaces selling niche products than general items. This is why it is very easy for someone catering to niche category, to rise up the ranks and gain the biggest market share. By now the benefits of catering to niche category should be clear. But as mentioned before, the next big predicament in front of aspiring entrepreneurs is how to find the right niche category. You simply cannot select a random category and focus all on it. Luckily there are several other ways in which one can strategically find niche products which would be highly beneficial. The best way to find out about the feasibility of selling a niche is by determining its popularity. Google Trends provides an immersive way that gives you an overall picture of search volume, trends over time, and whether its popularity is on the rise or the decline. Using this one can easily find out the niche category depending upon the targeted geography of the ecommerce website. Another way to find out which categories are doing great and which products are the volume driver is by checking best sellers on eBay, Amazon, and other popular marketplaces. Irrespective of the sales channel you use, it is always advised to conduct market research to deduce which types of products are doing good. When doing research on the product that you are considering, you might run into some blogs or website catering to that particular market. It’s likely that these are influencers within the niche you are looking at. By paying attention to them you can get an understanding about trending products, business advice, and be better able to determine what people are buying online. Clothing –Clothing sector has been one of the most popular categories in the ecommerce arena for the past couple of years. In 2017, it is still going strong, as more and more people are looking to buy clothes online. An interesting thing that is coming out this year is that more consumers now prefer to buy from dedicated lifestyle marketplaces rather than generic ecommerce marketplaces. Mobiles & Accessories – After lifestyle, the most profitable category, when it comes to online shopping, is mobile and accessories. This market is so huge that some mobile manufacturers even go for online only launches and give up offline sale altogether. Another thing that goes in favor of this sector is that the profit margins on these devices are huge as compared to other categories. Household Items – Nowadays people have also started to buy household items online rather than going to a local store as it is time consuming. This category includes kitchenware and other home appliances. An ecommerce store focusing solely on this niche category will surely have a unique identity. Grooming Products – There was a time when grooming products were focus on women only, but nowadays men like to be pampered the same way as women. The market for men and women’s grooming products is burgeoning and the demand for dedicated online marketplaces is increasing. Kids & baby Products – Newly made parents often find it hard to shop for their newborn babies and the variety of offerings for kids surely can confuse a lot of people. This is where a new niche category has opened, which is showing huge growth potential. Pet Care – This category has come to the forefront out of nowhere and consumers have also started to buy pet products including food online. Already many new startups catering to this market have got huge investments, which highlight the bright future of this niche market. Organic Foods – This is a relatively new market, but has huge growth potential. There are very few dedicated marketplaces in this sector, making it ideal for aspiring entrepreneurs to capture the market. People are getting conscious about the food that they intake and such a niche category is ideal for someone to launch a dedicated marketplace. As the ecommerce marketplace become more mature, rather than a couple of global marketplaces, which hold the overall market share, it will all come down to dedicated marketplaces catering to niche sectors. 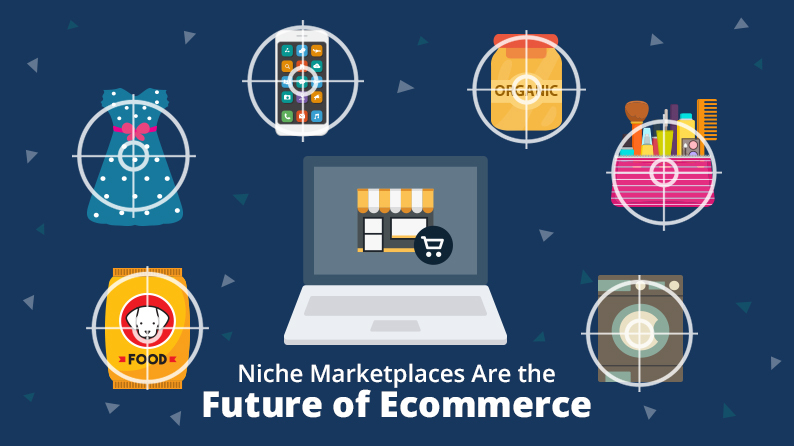 This post not only highlights the importance of niche marketplaces, but also lists out the top niche categories of 2017 to launch a marketplace. This will help any aspiring entrepreneur to launch a dedicated marketplace catering to a niche sector. Want a readymade solution that will ease your ecommerce journey?